Set off by the bullet of a would-be assassin, Neo-Tokyo has been leveled by Akira's godlike psychic fury. 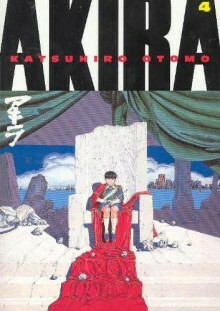 Now cut off from the rest of world, the Great Tokyo Empire rises, with Akira its king, Tetsuo its mad prime minister, and a growing army of fanatic acolytes. Forces on the outside still search for a way to stop Akira, and the answer may lie in the hands of the mysterious Lady Miyako, a powerful member of Akira's psychic brotherhood. But the solution to harnessing Akira may ultimately be more dangerous than Akira himself! http://DamienLovecraft.booklikes.com theguywhoreads 5.0 One of the Best Manga Science Fiction Ever Published. text One of the Best Manga Science Fiction Ever Published.